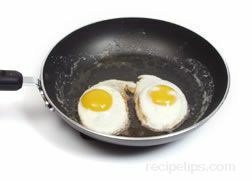 Shirred eggs are most often prepared as a broiled egg dish, although occasionally the eggs are baked. 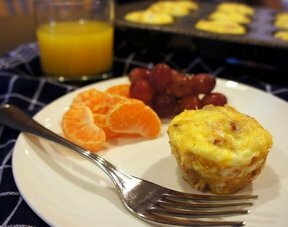 Eggs are placed in small buttered dishes referred to as ramekins and broiled until the white is set, but the yolk remains liquid. The ramekins must be able to withstand a short period of moderate heat on the stovetop followed by a short period of high heat under the broiler. 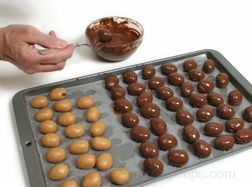 To begin the process of preparing shirred eggs, preheat the broiler oven until it is very hot. Place a four-inch ramekin over medium heat on the stove top. Add a half tablespoon of butter to the ramekin. 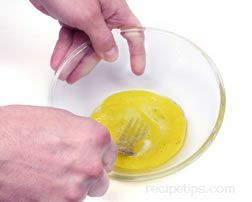 When the butter has melted in the ramekin, break one or two eggs into the dish and cook for about thirty seconds. The egg white should form a thin layer on the bottom of the dish. Remove the dish from the heat (a wide tongs works well for this); then tilt the dish to baste the egg with the melted butter. Place the ramekin about an inch below the broiler element and slide the dish in and out of the oven to prevent the eggs from overcooking. 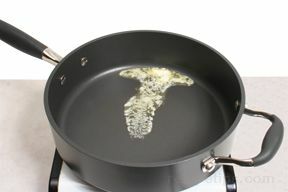 This back and forth motion of inserting and removing the dish from the oven will also baste the eggs with the butter in the dish. This broiling step should require no more than a minute to complete. 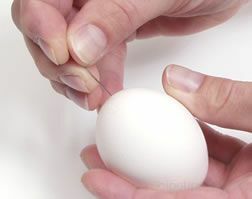 If done properly, the white will be set, and the yolk will still be liquid with a thin film on top. Remove the ramekin from the oven, season the eggs, and serve immediately. 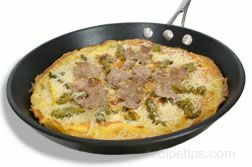 Shirred eggs can also be cooked with oven-baking, but the cooking time necessary to achieve the correct consistency is somewhat longer. When using the oven-baking method, the eggs often become tough and rubbery, because the heat surrounds the dish, affecting the entire volume of the eggs rather than just the top layer, which is the area of the eggs most affected by the heat of broiling. 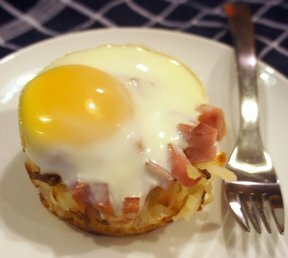 There are a number of variations of the basic shirred egg in terms of incorporating other ingredients with the eggs to provide additional flavor. Among the most popular variations are shirred eggs cooked with bacon or pancetta, shirred eggs with a black butter sauce, shirred eggs with herbs or cream or minced vegetables, and shirred eggs that are prepared with a layer of cheese that is melted on top. The variations are endless.